Professor Sameh Nada has strong scientific, academic, administrative and managerial achievements in his professional career in high education and scientific research. Scientifically, Professor Nada is well recognized both internationally and nationally in the field of energy systems, solar energy, heat transfer, desalination and refrigeration and air conditioning systems. He is the author of about 75 scientific research articles published in leading international journals until 2018. Professor Nada supervised many MSc and PhD students since joining Benah University as assistant professor in 1997. Professor Nada has been selected as a reviewer for many leading international journals in specialized in his research field. Managerially, Professor Nada has occupied several managerial and leaderships positions for 13 years. He was the Chairman of mechanical engineering department, Vice dean for Community Service and Environmental Affairs, Vice Dean for students affairs and then the Dean of Benha faculty of Engineering. 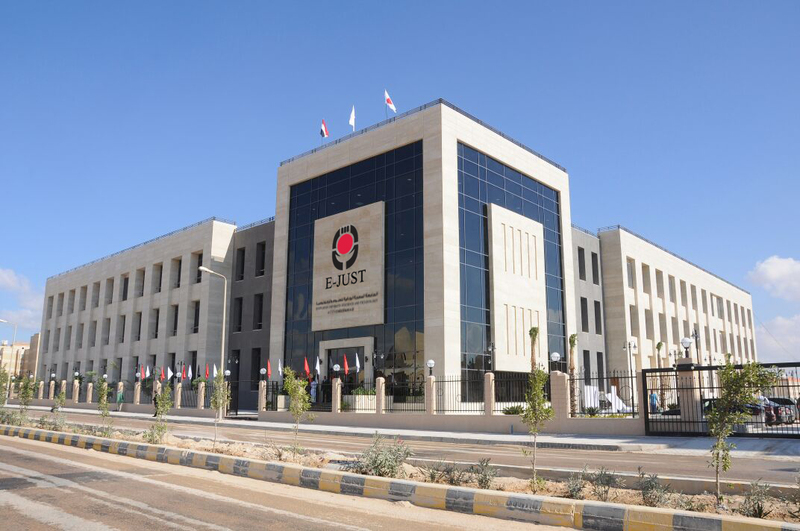 Recently, In the 16th Board of Trustees meeting of E-JUST held on December 4th, 2017, Prof. Sameh Nada was nominated as E-JUST Vice President of Education and Academic Affairs, and was approved by the Board. Academically, Professor Sameh Nada rendered great services in many governmental committees of high education in Engineering Sector. Professor Nada is a member of the Permanent scientific committee for Professors and Associate professors promotions, Reviewer of the Permanent scientific committee for Professors and Associate professors promotions and a Member of Engineering Study Sector Committee, Egyptian Supreme Council Universities. Professor Nada has a strong experience in preparing, reviewing and approval of the Bylaw of engineering faculties and institutes. Professor Nada has received a number of academic awards and honors. In 2008, he received Benha University Encouragement Awards for Engineering Sciences, in 2016, and 2017 he received the best/active author awards from Benha University. Professor Nada was a Visiting Professor at McMaster University- Canada, Trefle, Université Bordeaux 1, France and Technische University at Berlin, Germany. In communities/industrial services, Professor Nada has a strong experiance in the consultations works of design, construction supervisions and management of the electromechanical systems of different buildings applications including universities and educational buildings, hospitals, Pharma factories, commercial and residential buildings and health care facilities. Professor Sameh Nada was born in February, 2nd, 1965 in Giza, Egypt. He graduated from Benha Faculty of Engineering, in 1987, and after then, he received MSc degree in 1992 from Cairo University and PhD degree in 1997 from Cairo university/McMaster University, Canada. He has worked in Benha faculty of engineering since 1988 until 2017; from 1988 as a demonstrator, from 1992 as a teaching assistant, from 1997 as an assistant professor, from 2004 as associate professor and from 2009 as a full professor.